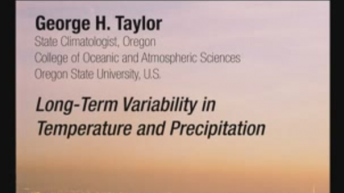 George H. Taylor is the State Climatologist for Oregon and a faculty member at Oregon State University’s College of Oceanic and Atmospheric Sciences. He manages the Oregon Climate Service, the state repository of weather and climate information, and supervises a staff of 10. 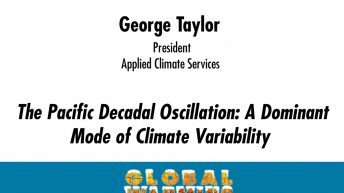 Taylor is past president of the American Association of State Climatologists. 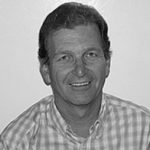 He is a member of the American Meteorological Society and has received certification as a certified consulting meteorologist by the society. He also has a California Lifetime Community College Credential. He has published more than 200 reports, symposium articles, and journal articles. Prior to joining Oregon State University in 1989, Taylor operated his own consulting business in Santa Barbara, California. Previously he was employed as a meteorologist by North American Weather Consultants and Environmental Research and Technology.